Including a demonstration of how to open and split a native bee hive. This course teaches the basics of how to become a stingless beekeeper. It covers basic bee biology/life cycle and caring for your native bees, be that on your farm, or urban backyard. Steve will explain the importance of Australian Native Stingless Bees in the pollination process and how to attract more native bees to your garden. You will get to taste native bee honey and learn how to open and split a native bee hive. 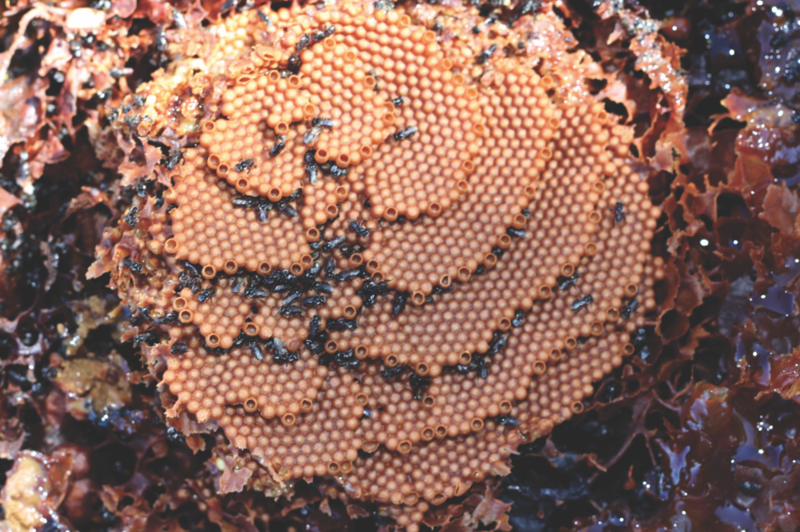 You will leave this session with a basic working understanding of Tetragonula carbonaria or Australian Native Stingless Bees and how to improve the biodiversity in your area. The Australian Native Bee Company (TANBC) has been in operation since 2008. Steve Maginnity (your workshop host) studied Agricultural Science at university and completed his Graduate Diploma of Education going on to become a high school agriculture and science teacher for over a decade. His interest in native bees started whilst attending a European bee keeping course. He had intended on getting two hives for the school that he was teaching at to use as an educational tool. However, due to the risk of students suffering anaphylaxis from bee stings he was not permitted to bring European bees onto the site. Steve had heard of an alternative, stingless native social bees. Doing as much research as possible with the limited information available at the time he became more and more intrigued and interested by native bees. His interest and passion for native bees continued to grow and so too did the business he had established. TANBC now sell hives, offers a pollination service and provides educational talks to school and community groups up and down the East Coast.